Discover how to engage your online audience with our top visual merchandising tips. Online shopping in the UK has reached record proportions in 2018, with 18.2% of consumers shopping online in August alone according to a recent report from the ONS. But despite the strong online appetite for shopping, consumers are still spending most of their money in stores. Why? In-store environments often capture our imaginations with immersive visual experiences that are designed to excite us from the moment we walk through the doors. 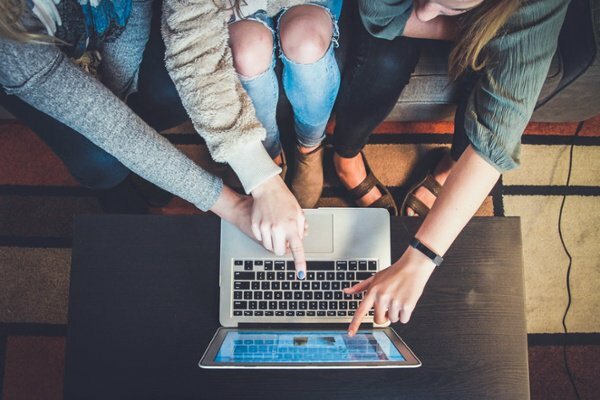 Online brands can master their merchandising process by looking closely at these visual techniques to improve online engagement. It’s a good idea to also look to online innovators that have led the way in applying best-practice approaches that capture the spirit of in-store allure. With this in mind, we explain some of the top tactics that leading brands have utilized to capture customer attention. Use these to your advantage to transform your merchandising process so that it grabs and maintains customer engagement throughout the online shopping journey. The homepage is golden real-estate to show off your brand image in a bold and impactful way that instantly engages your audience. Edgy online retailer Farfetch does this perfectly with a contemporary approach that reflects a magazine’s editorial layout. Think highly stylized images that assert the brand’s style authority while appealing to a fashion-forward customer base. 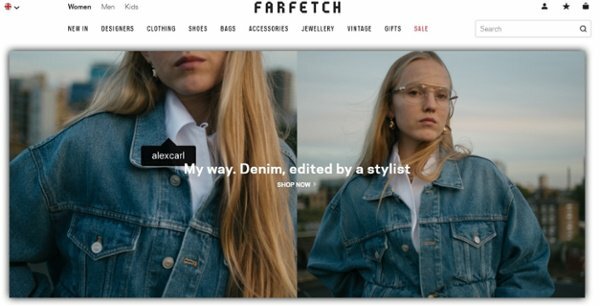 The right images typically pack a bigger punch than words in the ecommerce sales process according to research, and Farfetch clearly knows this with its clear passion for photos that make you stop and stare. However, this beauty is much more than skin deep. Apart from powerful imagery, the brand pro-actively promotes site engagement using friendly pop-up notifications that invite browsers to sign up to the Farfetch newsletter. It also showcases an easy-to-reach search bar that allows shoppers to rapidly fast-track their shopping journey to a specific item. The brand also showcases trend-led weekly fashion stories that advocate up-to-the-minute, head-turning trends that merchandisers can rapidly adjust based on new observations. All of these actions make an irresistible first impression for fashion-lovers who demand to stay ahead in the luxury fashion game – delivering the right message to the right audience in a way that excites and inspires. While the homepage must first and foremost capture customer attention, it also serves as the start of the pathway to a perfect customer purchase. This pathway must be easy to negotiate, or your prospective customers will just get lost, bored or frustrated when they’re trying to find their ideal product. The main navigation bar should therefore guide customers to popular categories and pages using simple messages and menus that are easy to follow. The main navigation isn’t the place to create a confusing spider’s web of product sub-category pages – just keep things simple to encourage the clicks. Leading cosmetics brand Beauty Bay does with panache using clear drop-down Meganav menus of central shopping categories, plus links to trend-led blog stories and make-up tutorials. It clearly prioritizes what its beauty-obsessed customers want by focusing on providing quick access to essential beauty shopping categories and top trending stories that will guide shoppers to their next make-up routine, and therefore, their next potential shopping list. One of the main challenges in online merchandising is the constraints of a digital screen. 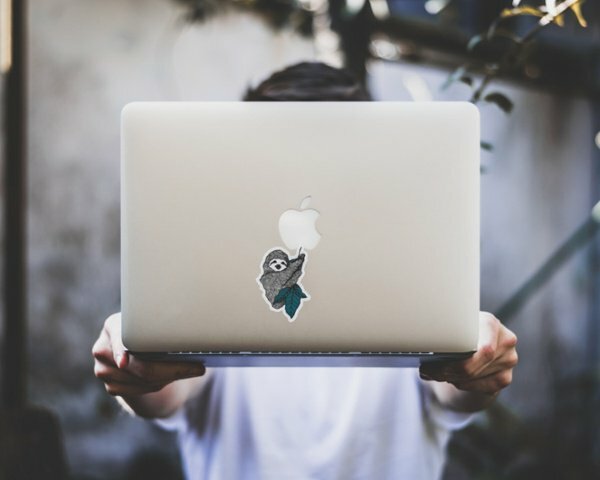 According to proven research, online shoppers only view around 30 to 50 products in their field of vision on a desktop device compared to around 500 or more products as they walk around in-store. This figure is reduced even further on a mobile, where products are often arranged in rows of 2. Tracking user behaviour is crucial to guiding the merchandising process, but being able to populate category and product pages with relevant results at speed is also important. Automated technology can be utilized by retailers to do both of these complex tasks swiftly and efficiently, allowing brands to push relevant products to the front of a shopper’s screen with speed. Online scene-shifter Boohoo.com has led the way with this approach by relying on automated merchandising solutions to help shoppers locate specific types of dresses within their ‘New In’ category. When shoppers click on a specific dress, a link invites shoppers to view similar outfits. By doing so, a new screen reveals itself with a row of options that can be seen without shoppers having to scroll down the page. These intuitive product recommendations are generated using automatic algorithms that analyze user shopping data to quickly reveal relevant products. Without the use of algorithms, such processes would be much harder to roll-out across multiple website pages at scale. However, while such processes are being powered by AI and machine learning, it isn’t possible to programme software to factor in all business requirements. People are still much better suited to interpreting and applying a brand’s strategic priorities from a creative perspective. For example, red dresses feature across a range of Boohoo categories, from ‘Going Out’ and ‘Party Dresses’ to ‘New In’ as well. But merchandisers are needed to make strategic business decisions about which category is best for driving the most sales of this particular product type. To do this, they analyze the data presented by machine learning algorithms to make strategic decisions about where to position the products, in a similar way that in-store merchandisers would move ‘red dresses’ into strategic positions across the shop floor to take advantage of footfall. By doing this, online merchandisers apply their creativity while using data to perfect the layout of the online shopping experience. Merchandisers and brand creatives are also central to developing a compelling brand aesthetic by focusing on strategic decisions that ensure clarity and vibrance across page layouts, editorial stories and product detail pages. Selfridges is a classic example of this work in practice, having recently been recognised as the ‘Best Department Store in the World’ for the fourth time thanks to its leadership in delivering an exceptional customer experience. Its beautifully crafted website is a case in point, with well laid-out category pages that are instantly interactive and easy to navigate. Shoppers can hover over product detail thumbnails to automatically view specific product details. When customers click on a product detail page, they are given rich descriptions about the product as well as a selection of alternatives that the customer can also consider. The website is also structured to allow users to gain fast access to inspirational editorial stories that showcase the latest trends for consumers to consider. Together, these distinctively creative approaches help to generate an experience that encourages shoppers to consider the product in detail, while imagining how they can wear the product in a range of trend-driven looks. 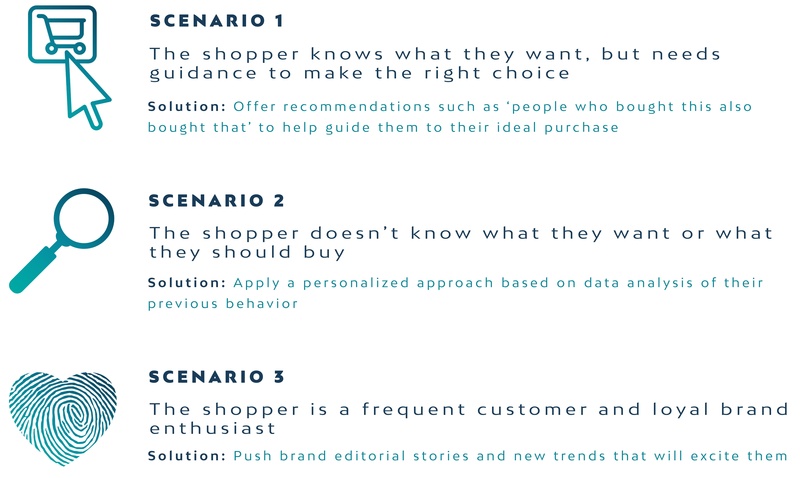 These human-driven decisions are a central part to driving brand engagement and shopper loyalty. “Human decisions are a central part to driving brand engagement and shopper loyalty." Another amazing advocate of this style-conscious and human-guided approach is Montreal based luxury retailer SSense, who’s fashion-forward website is laced with best-practice techniques that are driven by the decisions of smart brand merchandisers. In addition to offering ‘Style With’ product recommendations and clear, navigable Megamenus, its product detail pages have been consciously designed with a clean and uncluttered aesthetic to prompt potential shoppers to visualize fashion products in their full glory. On each product page, the brand offers 6 detailed model shots of the product being worn in various ways, which helps bring the product into full focus so that the shopper can imagine it on themselves, and ultimately in their shopping baskets. Store merchandisers are experts at doing this with their mannequin displays that push products to the front of customer eyelines while emphasizing the ways that such products can be worn in real-life situations. But SSense proves how such creative approaches can easily work online in a visually captivating way. The key to all of this is capturing and maintaining customer attention. Without unnecessary distractions, the customer can be fully engaged with the products they want to buy. The role of visual merchandising for the best online and in-store players is therefore, as always, a seamless combination of art and science. Key online players are taking advantage of automated technologies while using their own observations of in-store shopping to activate these immersive experiences across the online shopping shelves. 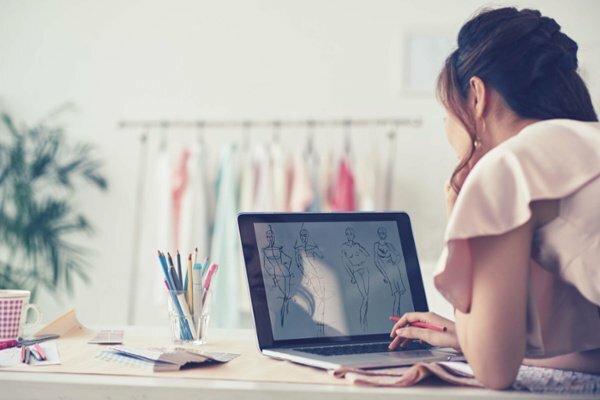 By doing this, many retailers, from Selfridges to emerging online players like SSense and Boohoo have created digital customer experiences that both match and even surpass the in-store high-street alternatives. The secret of this success is combining the insights and efficiencies that automated technological systems offer, while fusing these with the tried-and-tested human tactics that have proven their worth for years in in-store retail. This perfect blend of human-guided art and machine-led science is the key to retail’s future, and the key to delivering stand-out merchandising results that ultimately impress the most important person of all; the online shopper.